The realities of having a child with Type 1 diabetes. "It's like having a newborn again": The realities of having a child with Type 1 diabetes. “Mum, can I go up the street and play with so-and-so before dinner?” is a question many parents of primary age kids might be familiar with. But for Molly Lucas, 10, she can’t just ‘pop over’ for a play. “Hold on two seconds, let me make sure you’ve got a kit. Since being diagnosed with Type 1 diabetes, Molly’s life has been stripped of all spontaneity. Her mum Kirsty tells Mamamia, it’s like living with a newborn again. It also means less invites to sleepovers and parties, because other kid’s parents are too scared of the responsibility of Molly. Of course, to a 10-year-old that’s heartbreaking. Here is a little clip of Molly and her mum, which they created for Diabetes NSW & ACT. Post continues after video. 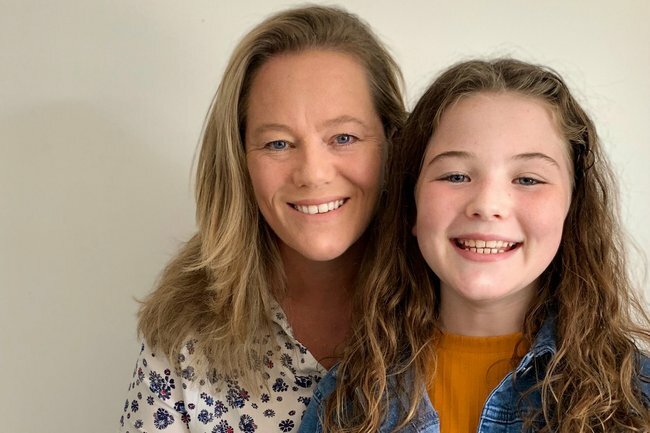 “I hate diabetes, diabetes has ruined my life,” is a sentence Kirsty has heard her daughter sob more than once, since her diagnosis two years ago. Molly has an insulin pump, it’s something her parents were able to get through health insurance to spare her from pin pricks every time she needs her glucose checked. However, every day she has to change the pump site on her body. It involves a metal needle – and Molly says it’s even worse than the pin pricks. “I don’t want to do this – I don’t want to do this,” Molly cries every time. “But you’ve got to hurt them to keep them alive,” Kirsty tells Mamamia through tears. It’s heartbreaking and exhausting for Kirsty. She can’t leave the house for instance, without putting Molly’s daily carbs on a spreadsheet for the school. The whole family’s life revolves around Molly’s diabetes. There are 120,000 people living like Molly in Australia. But a tiny little device called a Flash Glucose Monitoring System could quite literally bring some normality back to the lives of Molly and fellow Type 1 diabetics. It removes the need for needles, and replaces it with a quick one second scan using a 20-cent size sensor. 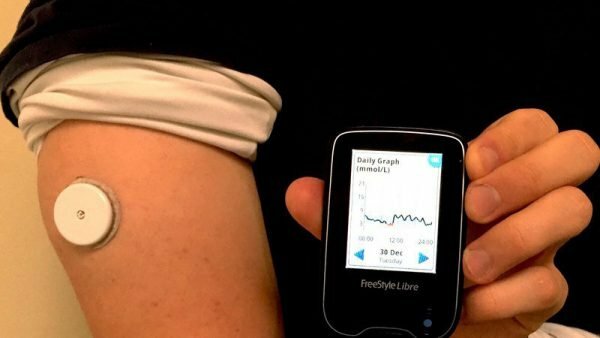 A petition is trying to get the government&apos;s attention so they can get Flash Glucose Monitoring subsidised. It gives real time information, which in Kirsty&apos;s world means her daughter is given back her "independence and control." "It also means as she edges towards puberty, she has the luxury of hiding it discreetly and feeling more confident," she added. The sensor is $100, and lasts for two weeks at a time. That&apos;s about $2600 a year. For the Lucas family, that&apos;s a squeeze for the budget - and they&apos;re not the only ones feeling the pinch. In fact, 200,000 people have signed a petition to the government to subsidise Flash Glucose Monitoring for those with insulin dependent diabetes. An announcement in November 2018 indicated it would be subsidised as part of a $100 million expansion of the National Services Scheme, effective on March 1st 2019. But March 1st is over a month behind us now, and still no funding. 32 other countries in the world have already subsidised it, including the UK, Spain, Sweden, Japan and Greece. "I urge the politicians making these decisions to go and buy a finger pricker and put it on level one - it hurts. And little Molly is on a level four," Kirsty told Mamamia. She and the other Australian families living with Type 1 are currently hanging on the government&apos;s every word.